The Origami Side Tables are an exploration of wood triangulation. 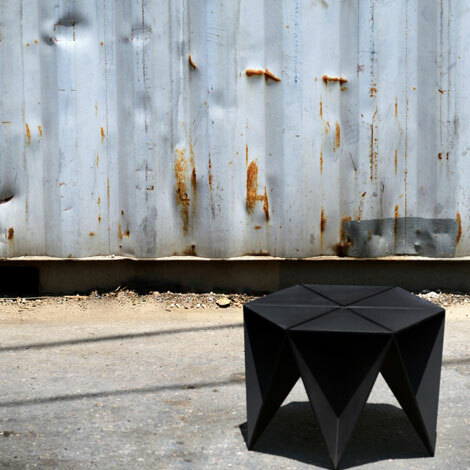 Black triangular MDF pieces were connected to form a base of sharp points in minimal contact with the ground. The same material is used for the tabletop, through the further triangulation of wooden pieces inserted into the base, flush with the sharp edges of the lower body.